The Battle of Casal Novo was a rear-guard action fought on March 14, 1811, during Massena's retreat from Portugal. 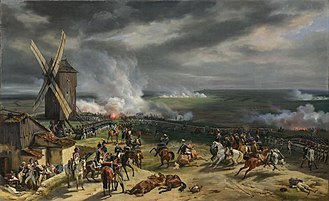 During this retreat the French rear-guard, under command of Michel Ney, performed admirably in a series of sharp rear-guard actions. At Casal Novo, the recklessness of Sir William Erskine resulted in costly losses in the Light Division. 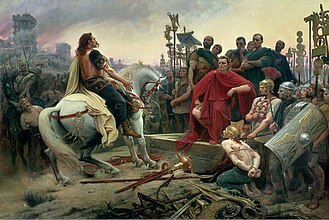 Massena's aims were to head north and force his way through the Mondego valley. His only obstacle was the Mondego River, but the French marshal found that all the bridges had been destroyed. 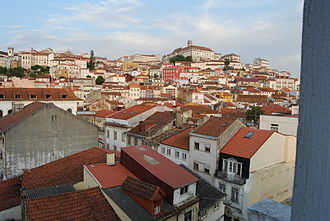 In addition to this, he found the river impossible to ford, due to the city of Coimbra being occupied by Portuguese militia under Nicholas Trant. 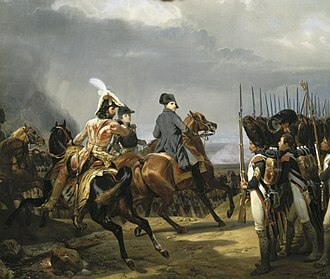 In an attempt to delay Wellington's advance, Massena had Michel Ney command the rear guard. Ney inflicted two defeats on the allies, driving the British out of Pombal and managing an impressive victory over Wellington near the village of Redinha. He then took up a new position at Condeixa, on the Mondego river. However, the French were too slow to force their way across the Mondego river. 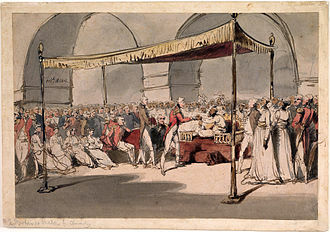 Trant's militia held out, after a failed three-day attempt to secure Coimbra. 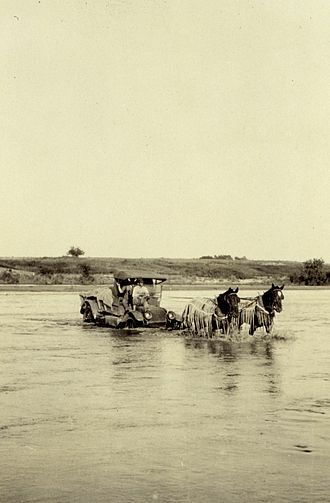 In danger of being trapped, Massena changed his route. Instead of heading north, the French marshal decided to advance east, back into Spain. Ney was left at Condeixa in order to stall the allied army. Wellington's vanguard caught up with the French at Condeixa. General Montbrun defended this position and delayed the allies long enough for the French to fall back eastwards towards Miranda de Corvo. With the position at Condeixa untenable, the town was abandoned and put to the torch. The next day, the allies advanced on the French positions around Miranda do Corvo. 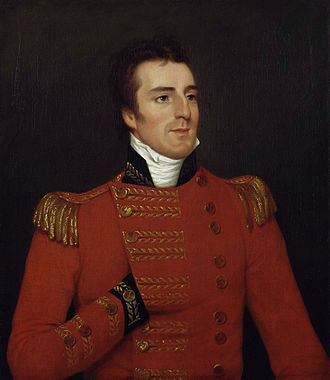 Sir William Erskine, in command of the British Light Division, attacked the French position at Casal Novo. Ney had deployed his troops in strong positions. General Ferrey’s men were stationed in the village of Casal Novo. Marchand’s division was held back in a strong position on raised ground near Chão de Lamas. The Light Division advanced on Casal Novo, attacking through a fog which hid the French from sight. However, Erskine did not believe that the French were present, and did not even bother to scout the French position. The British were easy prey for Ferrey’s men. The Light Division was exposed to heavy fire for two to three hours, before eventually gaining a foothold in the town. 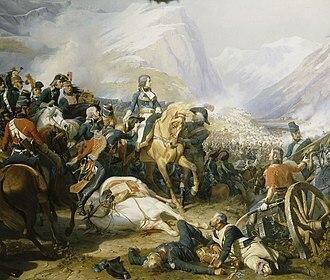 The French fell back to Marchand’s division and the Anglo-Portuguese, in pursuit, were cut down by Colonel Laferiere’s 3rd Hussars. Despite this the Light Division surged forward, but met Marchand’s division positioned on the heights in a strong defensive position. The French unleashed devastating fire on this body of troops. The Anglo-Portuguese were easily repulsed. 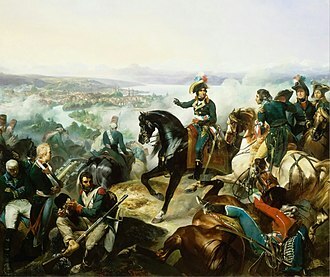 The arrival of the 3rd Division forced Ney to pull back Marchand’s men before they were overwhelmed. Marchand pulled back and formed a line with the divisions of Mermet and of Loison on the heights of Miranda do Corvo. The battle was a success. 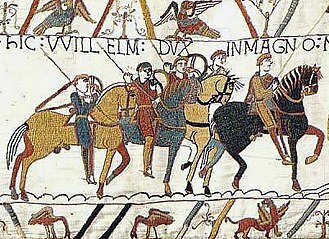 Ney had delayed the Anglo-Portuguese long enough for many convoys to regain the head of the army. The Anglo-Portuguese suffered almost three times as many casualties as their French counterparts. Marchand’s division had repulsed the attacks and the allies had once again failed to break through the French rear-guard. Ney’s rearguard withdrew across the river Ceira. A small body of troops were left on the other side at Foz de Arouce. From here, the stage was set for the combat of Foz de Arouce. This would be Ney’s final battle in Portugal. The Battle of Casal Novo was the first in a series of major bungles made by Erskine, the next being at Sabugal. Had the Light Division commander had the French positions scouted, the fiasco may have been avoided. 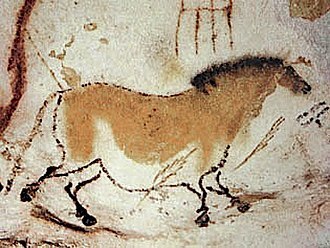 Chartrand, René (2002). 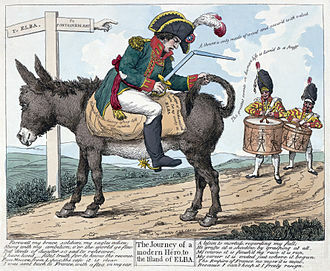 Fuentes de Oñoro: Wellington's Liberation of Portugal. Osprey Publishing. 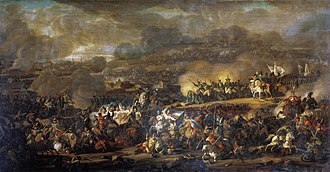 Having occupied the heights of Bussaco with 25,000 British and the same number of Portuguese, Wellington was attacked five times successively by 65,000 French under Marshal André Masséna. 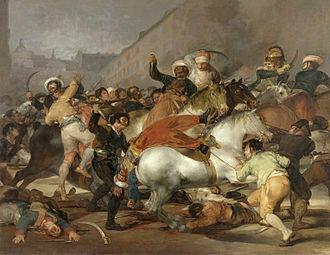 In 1810, Emperor Napoleon I ordered Masséna to drive the British from Portugal, the French marshal began the Siege of Ciudad Rodrigo in April. The Spanish garrison held out until 9 July when the fortress fell, the Battle of the Côa was fought soon after. The Siege of Almeida ended suddenly with an explosion of the fortress magazine on 26 August. 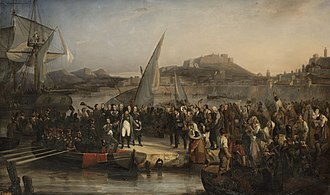 With all obstacles cleared from their path, the French could march on Lisbon in strength and it was important to delay the French until the defences being built around Lisbon, the Lines of Torres Vedras could be completed. Using selective demolition of bridges and roads, Viscount Wellington restricted the choice of routes the French could use, at the end of September, they met Wellingtons army drawn up on the ridge of Bussaco. 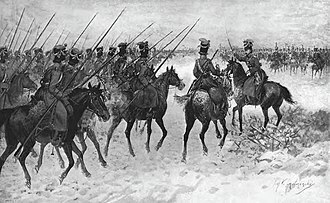 BG George DeGrey, BG John Slade, BG George Anson and BG Henry Fane led four British cavalry brigades, in batteries of six guns apiece, there were six British, two Kings German Legion and five Portuguese batteries under BG Edward Howorth. The Anglo Portuguese army numbered 50,000, with 50% Portuguese troops. Massénas army of 60,000 included the II Corps under Reynier, the VI Corps led by Ney, the VIII Corps under MG Jean Andoche Junot, the divisions of MG Pierre Hugues Victoire Merle and MG Étienne Heudelet de Bierre made up Reyniers corps. Neys corps had three divisions under MGs Jean Marchand, Julien Mermet and Louis Loison, Junot had the divisions of MG Bertrand Clausel and MG Jean-Baptiste Solignac. Each French corps contained the standard brigade of light cavalry, General of Brigade Jean Baptiste Eblé, Massénas artillery chief, commanded 112 guns. Wellington posted his army along the crest of Bussaco Ridge, facing east, to improve his lateral communications, he had previously ordered his four officers from the Royal Corps of Engineers to cut a road that ran the length of the ridge on the reverse slope. Next came Craufurd, Spencer and Leith, hill held the right flank with Hamiltons men attached. 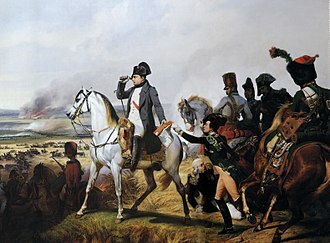 Masséna, believing he outnumbered the British and goaded by Ney and other officers to attack the British position rather than go around it. Two of the creations are extant as of 2010. The Erskine Baronetcy, of Alva in the County of Fife, was created in the Baronetage of Nova Scotia on 30 April 1666 for Charles Erskine, the third Baronet was one of the Scottish representatives to the 1st Parliament of Great Britain and represented Clackmannanshire. The fourth Baronet was killed in action at the Battle of Lauffeld in 1747, the fifth Baronet sat as Member of Parliament for Ayr Burghs and Anstruther Easter Burghs. He married Janet, daughter of Peter Wedderburn and sister of Alexander Wedderburn and their son, the sixth Baronet, succeeded to the earldom of Rosslyn in 1805 according to a special remainder in the letters patent. 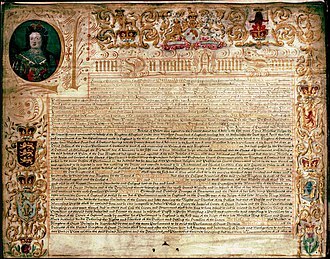 For further history of the baronetcy, see Earl of Rosslyn, the Erskine Baronetcy, of Cambo in the County of Fife, was created in the Baronetage of Nova Scotia on 20 August 1666 for Charles Erskine. He was a brother of Alexander Erskine, 3rd Earl of Kellie. The second Baronet sat as Member of Parliament for Fife, the eighth Baronet succeeded to the earldom of Kellie in 1797. 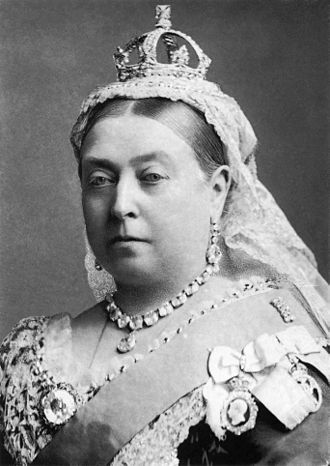 The baronetcy remained a title of the earldom until the baronetcys extinction in 1829. The Erskine Baronetcy, of Torrie in the County of Fife, was created in the Baronetage of Great Britain on 28 July 1791 for the soldier William Erskine and he was the son of Colonel the Hon. William Erskine, younger son of David Erskine, 2nd Lord Cardross. His eldest son, the second Baronet, was a prominent soldier, the latters two younger brothers, the third and fourth Baronets, both succeeded in the title. The title became extinct on the death of the fourth Baronet in 1836, the Erskine Baronetcy, of Cambo in the County of Fife, was created in the Baronetage of the United Kingdom on 27 August 1821 for David Erskine. He was the grandson of Thomas Erskine, 9th Earl of Kellie. 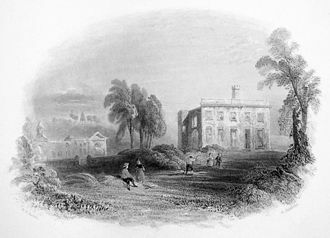 The original baronetcy of Cambo became extinct on the death of the tenth Earl of Kellie in 1829, the second Baronet was a Deputy Lieutenant of Denbighshire. The third Baronet was a Deputy Lieutenant of Fife, the fifth Baronet was Convenor of the Fife County Council between 1970 and 1973 and Vice-Lord Lieutenant of Fife between 1981 and 1987.